We’re thrilled to welcome Jack Renwick to Bristol. 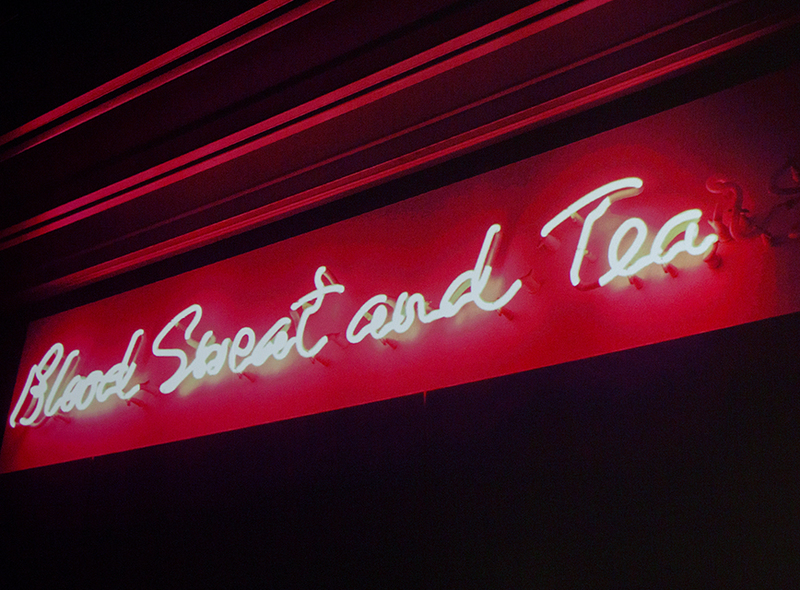 Jack will be sharing creative anecdotes, insights into her practice, the stories behind some of her favourite projects and why her studio has a fab neon sign reminding everyone that things can all be solved with a small drop of blood, sweat and tea – perhaps not all in the same mug! Jack runs a creative branding agency, wittily titled Jack Renwick Studio, based in Whitechapel, London with 9 designers who are more talented than her. She has worked on a huge variety of projects over the past 19 years for clients including Amnesty International, British Heart Foundation, eBay, BBC, Nokia, Royal Mail and Stella McCartney and received recognition from nearly all of the world’s most prestigious awards. She is a strong supporter of design education in the UK, is on the education board of ISTD (International Society of Typographic Designers), where she is also a Fellow, and was the external examiner at Duncan of Jordanstone College of Art & Design from 2014 – 2014. Jack originates from Glasgow and is frequently sought out as an awards jury member for her ​‘refreshingly frank’ views. John is a lettercutter, creating beautiful lettering across a range of media, including stone, wood and paper. Whilst studying Graphic Communication with Typography at Plymouth University, he found himself drawn to lettercutting after seeing a guest lecture by Lida Kindersley of the Cardozo Kindersley Workshop. He found the auspicious alignment between craft and letterform charming and irresistible. Accepted as an apprentice under the guidance of Lida and the workshop, he was taught all aspects of lettercutting giving him the theoretical and practical skills for him to hone his craft. The perfect harmony between typography and lettercutting has given him the freedom to explore and bring to life his creative ideas. Recently, he has enjoyed working with clients that share his passion for lettering; this is perhaps what excites him most. See some of John’s work on Instagram.